Whether you’re working for one of the area’s large, well-established companies, a new start-up, or furthering your education – you’ll find a home at The Arlington. 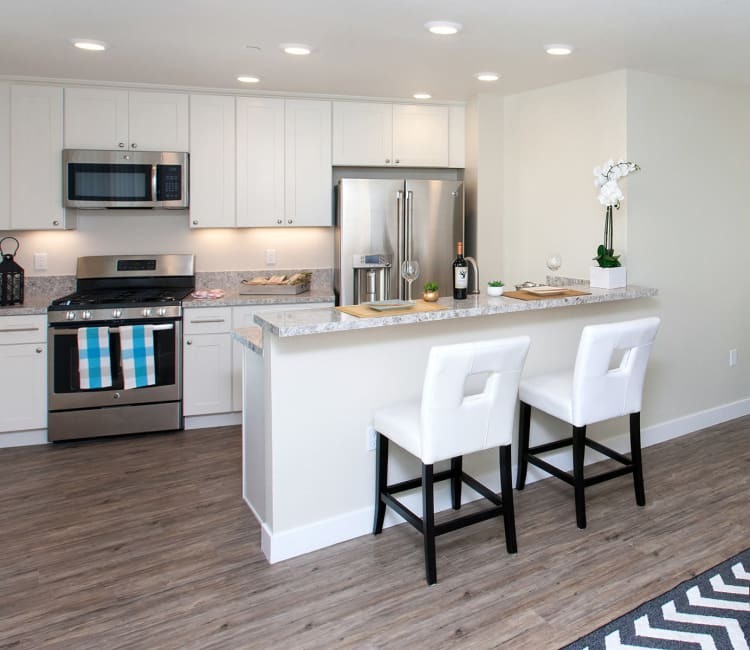 This beautiful Burlingame apartment community offers studio and one bedroom apartments in the ideal Peninsula location. Our spacious apartments have exactly what you need to live your best life. Treat yourself to a comfortable and classic apartment home for rent at The Arlington. Large open plan living spaces overlooking beautifully landscaped grounds make coming home a pleasure at the end of a busy day. Enjoy the sleek, classic design of your kitchen featuring granite countertops, custom cabinetry, and modern, stainless-steel appliances that are sure to inspire your inner chef. Generous closets and in-home laundry facilities in some residences add more convenience to your life. At The Arlington, we are pleased to welcome your four-legged family members in select residences. Please speak with our onsite staff to learn more.